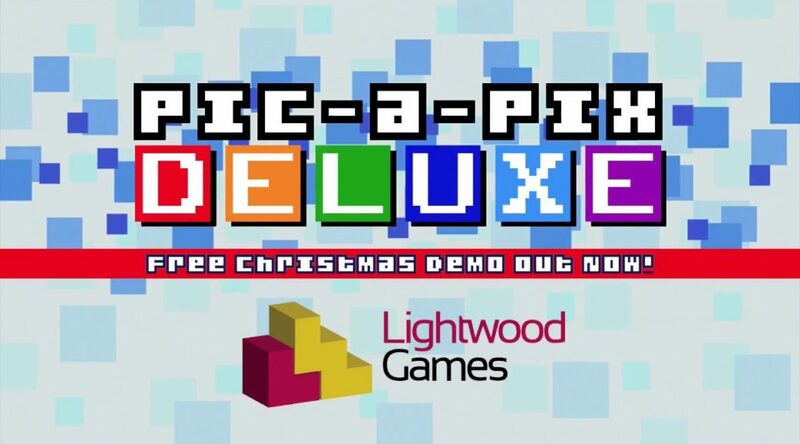 Lightwood Games has announced the addition of several new picross puzzles to Pic-a-Pix Deluxe. A new Classics Puzzles 8 pack will be released on August 2, followed by Small Puzzles 8 and Large Puzzles 8 on August 16. On August 2nd, Classic Puzzles 8 adds another 60 familiar black-and-white picross puzzles to the game. Pic-a-Pix Deluxe is best known for its full colour puzzles and there will be even more content available on August 16th with the release of three additional packs in a choice of sizes. For casual players, Small Puzzles 8 includes 45 puzzles using only 10×10 and 15×15 grids. For the more adventurous, Large Puzzles 8 contains 30 puzzles at the 15×20 and 20×20 sizes. For those who can’t decide – or who just can’t get enough – Mixed Puzzles 8 features another 30 puzzles across all those sizes. On August 30th, Giant Puzzles 3 will be added. Giant Puzzles are an occasional update, featuring the largest and most challenging puzzles in the game. 40×30 and 45×35 grid sizes. These brand new puzzles are certainly not for the faint of heart! With 300 puzzles included in the base game and 30 add-on packs already available, Pic-a-Pix Deluxe is the new king of picture puzzle games! In total, there are more than 1,500 puzzles to solve – and more will continue to be added every month! Packs are available as downloadable content on the Nintendo eShop. Players can jump directly to the add-on list from the “Extra” section of the game.